We had a great day today for the yard sale. We enjoyed a tremendous turn out from both Scouts and families. We made a grand total of $526! This is money that helps directly fund and support our high-adventure activities. 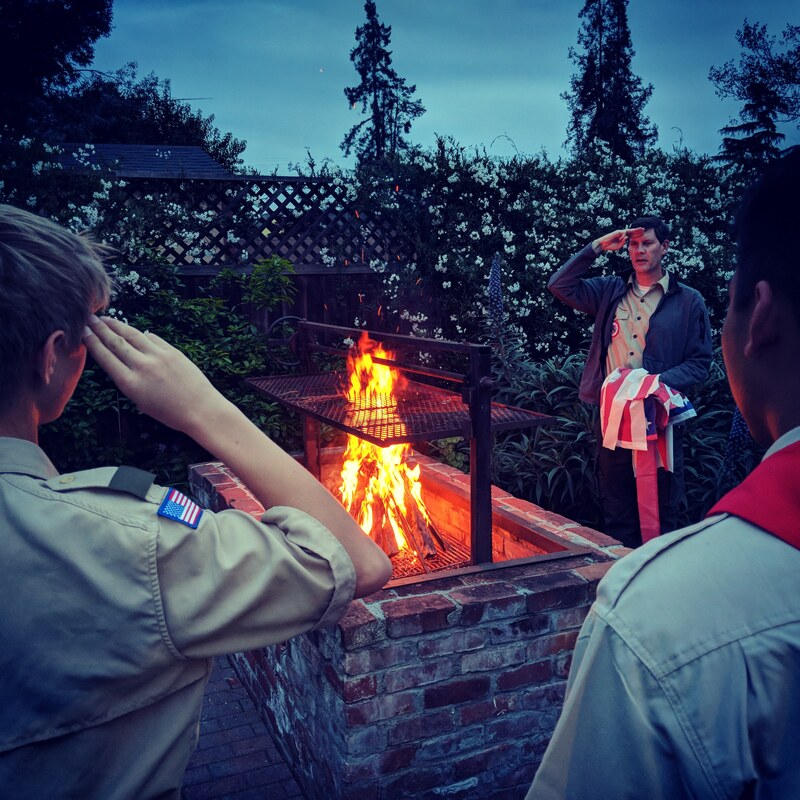 After having fun practicing fire building recently, the Troop put those skills to an important use last week: the retirement of several flags that had been entrusted to us after the end of their useful life. The Scouts led four separate ceremonies, taking turns to play different roles and try different content. Always treating the flag and the proceedings with dignity. So much of our activities are best captured in picture or short video form, that it made sense to choose Instagram to expand our online presence. The PLC planned a fireflghting skills development session for last week: two teams, the first to get the twine to burn through wins! What did the Scouts learn? Lots! trying to get natural tinder to take a spark (as opposed to a match and paper) is hard! Practice makes perfect. Now that female youth are welcomed in Cubs and scouts is opening up to female youth too, it is great to see official BSA communications highlighting their participation. The latest Scouting Wire has a feature story on female Cubs participating in the recent pinewood derby. Here at Troop 260, our focus has long been on high adventure scouting for all the family. Watch this space for upcoming information on how we are moving early to formally extend our Troop to female youth. Get outside with 260 – it’s good for your brain!